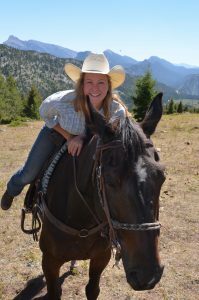 Spain is home to many incredible vacation destinations, from famous restaurants, impressive monuments, enchanting gardens, and of course, beautiful churches. While there are many amazing churches in Barcelona, none is more unique and magnificent than the Sagrada Família. Located just 15 minutes from the Mediterranean coast, the Sagrada Família is one of the most impressive landmarks in Barcelona. The church was built by genius architect Antoni Gaudí, one of the most influential building designers of his time. You might be wondering why Gaudí’s church is considered to be so unique. This church stands out for its never-before-seen structural system, creativity and impressive attention to detail. Antoni Gaudí was born on June 25th, 1852 and lived in Barcelona, Spain for the majority of his life, where he died at the age of 73. According to the Sagrada Família official website, he is known for quite a few architectural feats, but his most well known masterpiece is the Sagrada Família church. Gaudí became part of the modern architectural movement of the late 19th and early 20th centuries and was influenced by neo-gothic art and oriental techniques in his work. The Sagrada Família, along with six other of Gaudí’s works, have been declared UNESCO World Heritage Sites for their magnificent architecture and cultural significance. In 1883, Antoni Gaudí took over as the chief architect of construction for the Sagrada Família and dedicated the rest of his life to overseeing the project (he is actually buried in the crypt of the church!). According to The New York Times, by the time that Gaudí died in 1926, only a quarter of the project was completed. The church is still under construction today and is anticipated to be completed in 2026, over 144 years after the project initially began. Construction was interrupted due to the Spanish Civil War in 1936, and some of Gaudí’s original plans were partially destroyed. According to The Guardian, it took 16 years for the plans to be pieced back together; however, the project’s efficiency has continually improved as modern technology and 3D computer rendering aids the construction process. Gaudí’s design called for 18 spires to represent different biblical and religious figures. Just eight of these beautiful pieces of architecture have been completed, but they boast impressive height and beauty on the outside of the church. The church plans also called for three façades, the Nativity Façade constructed from 1894 to 1930, the Passion Façade constructed from 1954 to 1987, and finally the Glory Façade, which started construction in 2002. Each of these unique Façades depict a religious scene filled with detailed carved sculptures. The interior columns of the church are also an architectural feat, as is the beautiful and intricate ceiling designs. The central vault is over 200 feet tall (246 at some points!). The organ, installed in 2010, is an impressive focal point of the church. It currently consists of 26 stops and 1,492 pipes. According to a music blog which featured an article on the organ, the church has a unique set of challenges due to its design. By the time the church is completed, the organ will have over 8,000 pipes installed in different parts of the open space to ensure the music is good quality. According to The New York Times, the Sagrada Família sees over 2.5 million visitors each year, which means visiting the church can be a challenge as entrance lines can be hours long. If you’re with us on Paul W. & Kim’s Dream Vacation to the Greek Isles, you’ll have the opportunity to visit this iconic church on an exclusive tour during our time in Barcelona. With Cruise & Tour you’ll skip the line and go straight inside to see this unfinished masterpiece! 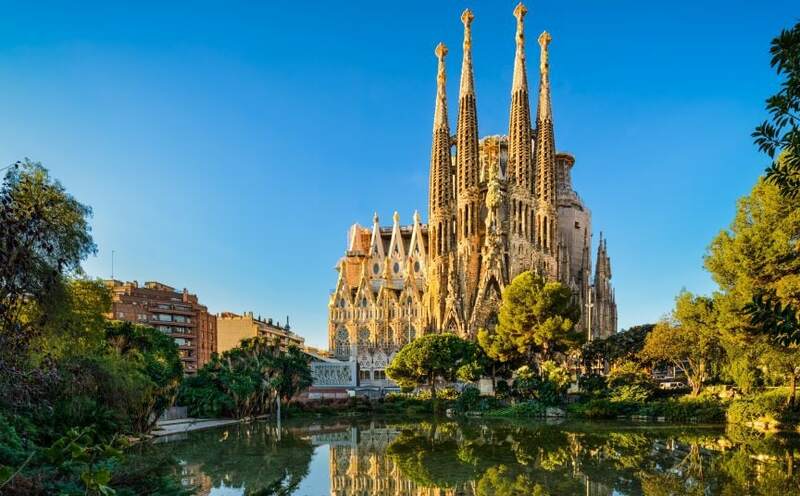 If you’ve always wanted to experience the beauty of Barcelona and explore the Sagrada Família, join us on Paul W. & Kim’s Dream Vacation aboard the Celebrity Reflection September 29-October 13. Call 800-383-3131 today to reserve your spot on this once-in-a-lifetime voyage!